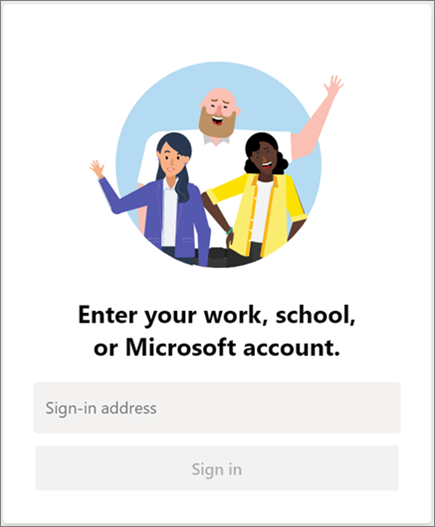 Go to office.com and select Teams. Go to https://login.partner.microsoftonline.cn and select Teams. Go to https://portal.office.de and select Teams. 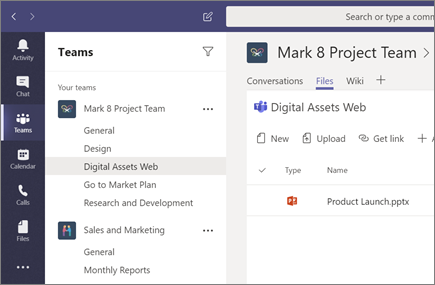 Note: To use Microsoft Teams, make sure  you have an Office 365 account with a Business or Enterprise Office 365 license plan, and  your IT Admin turned on Microsoft Teams in the Office 365 Admin center. 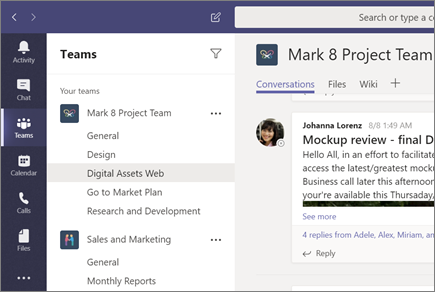 For more info, see How do I get access to Microsoft Teams. If you're not on a Team and want to create one, see Get your team up and running. Select a channel and explore the Conversations, Files, and Wiki tabs. Channels can be a department, project, or topic. For more info, see Teams and channels. Select Upload, select a file, and then Open. Post a file like one of these: Great ways to work with Word, Outlook and PowerPoint.